A 3D printed aircraft has successfully launched off the front of a Royal Navy warship and landed safely on a Dorset beach. 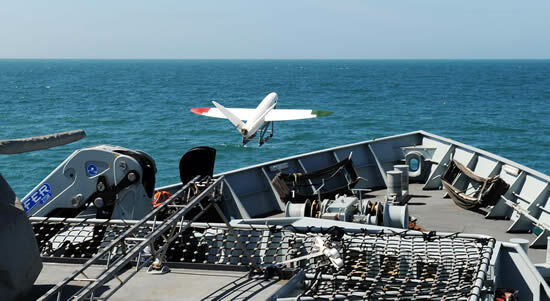 HMS Mersey provided the perfect platform for the University of Southampton to test out their SULSA UAV. Weighing 3kg and measuring 1.5m, the airframe was created on a 3D printer using laser sintered nylon and catapulted off HMS Mersey into the Wyke Regis Training Facility in Weymouth, before landing on Chesil Beach. The flight, which covered roughly 500m, lasted less than few minutes but demonstrated the potential use of small lightweight UAVs, which can be easily launched at sea, in a maritime environment. 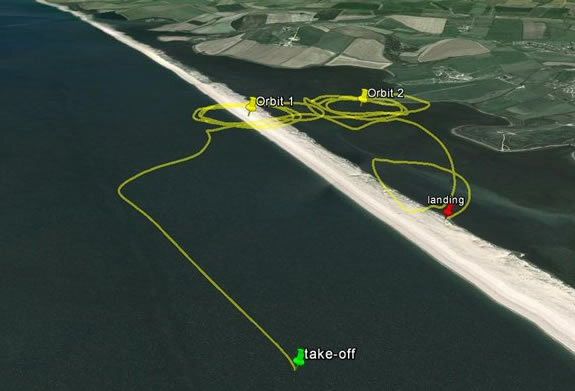 The aircraft carried a small video camera to record its flight (footage below) and Southampton researchers monitored the flight from their UAV control van with its on-board video-cameras. Known as Project Triangle the capability demonstration was led by Southampton researchers, making use of the coastal patrol and fisheries protection ship. It was back in 2011 that University of Southampton engineers initially designed, and flew project SULSA, the world’s first entirely “printed” aircraft. With a wingspan of nearly 1.5m, the UAV being trialled has a cruise speed of 50kts (58mph) but can fly almost silently. The aircraft is printed in four major parts and can be assembled without the use of any tools. He added that this trial helps explore how simple, automated systems have the potential to replace complex machines. “We are after more and greater capability in this field which delivers huge value for money. And, because it's new technology, with young people behind it, we're having fun doing it," Adm Zambellas concluded.